2017 was a crazy year! 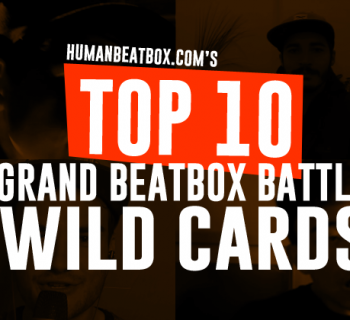 The biggest Grand Beatbox Battle (till the next one), musical covers rivaling the originals and viral videos galore! And we never got to give a proper send off to a year like 2017 that it deserves. 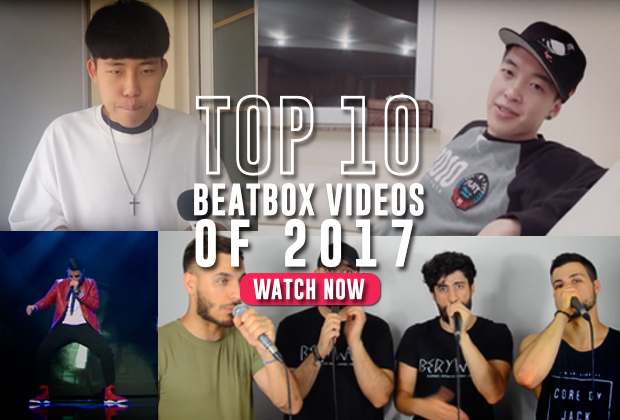 So, here is the top viewed beatbox videos of 2017, curated by Human Beatbox. We didn't do a top 10 for the week. Expect a chunkier list next week! Starting the list, we have a friend, Dharni, with his interpretation of Polish Disco. Of all his viral videos, why was this one so popular? Maybe everyone loves a good wedding? 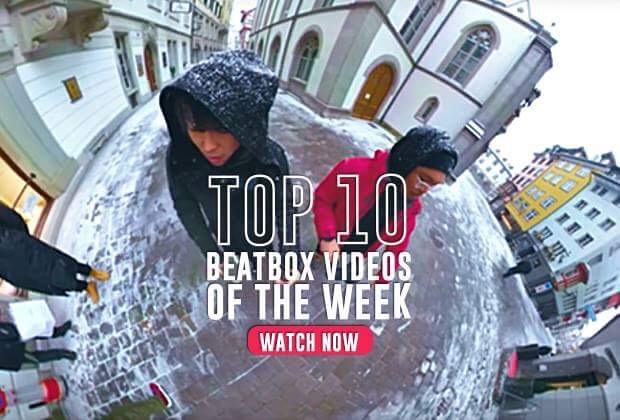 Swissbeatbox is the biggest YouTube channel promoting beatbox and their Grand Beatbox Battle event in Basel, Switzerland gathers the best of the best on to the stage. This finale to the Solo battle was one of the most exciting battle of the evening, pitting vice-world beatbox champion, NaPoM and newcomer, Hiss from Korea. MB14 is joined by Rythmind, Wawad and Beatness, forming the all french beatbox crew, Berywam. The group specialize in taking beatbox ideas to an A Capella world, combining rhythmic vocal complexity, heavy drum sounds and bass with traditional singing. This video shows there playful and intelligent composition. SwissBeatbox also has a tag team category for their Grand Beatbox Battle. Russian duo, the Mad Twinz, bring the house down with there elimination round! Their style of music makes anyone want to rock out, just ask Pepouni (1:25 in the video). Spoiler, the Mad Twinz later won the tag team category! Beatbox is worldwide! And no one can be prouder in Asia as Neil Rey Garcia Llanes! Representing the beatbox community in the Asia Got Talent, Rey finished in 3rd place at the prestigious competition! Huh, too much MB14? Nah! And this battle is the greatest loopstation battle we have ever witnessed. Period. MB14 is a musical prodigy, performing covers of Marian Hill, System of a Down and Afroman. And yet, that barely covers how amazing his opponent, Saro performed. Saro won this battle and took home the title for best looper at the Grand Beatbox Battle, performing all original pieces in this battle. Cue high pitch laughter! 80Fitz has been a part of the beatbox community for years and its amazing to see his rising career. He is always coming up with fun video ideas and this one went viral. Don't try this at home, unless you are going to film it! Hiss's popularity exploded after his lost to NaPoM and Hiss regular engaged his fans with fun covers. This time, he and BigMan performs the popular song by Luis Fonsi, Despacito. 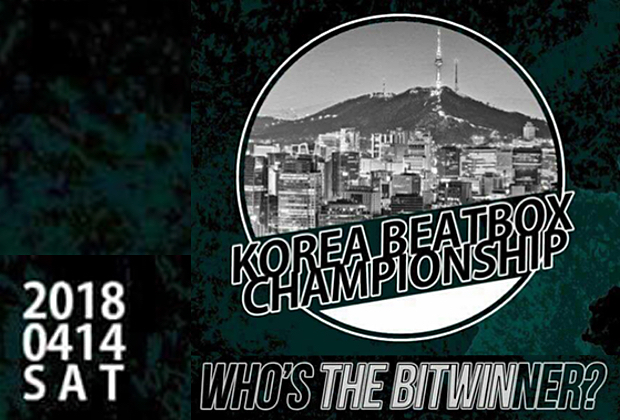 And Big Ups to KBTV for representing the Korean Beatbox scene and the KOREA BEATBOX CHAMPIONSHIPS! And finally, the top viewed beatbox video of 2017, Bigman (Did you see him on Ellen?). No joke, this video EXPLODED and was seen everywhere, so much so that Ellen DeGeneres flew Bigman from Korea to California to be on her show. The video was so popular, this video is actually the 1st AND 10th place video, as someone ripped Bigman's video to their own channel, garnering another 2.4 million views! Beatbox in the world scene is going to see a major boost! Its inevitable, to be honest. These videos are viewed by the millions; They are not old videos and many are individual YouTube channels. The quality of music that is being produced is finally being recognized by the masses. Here is to 2018! 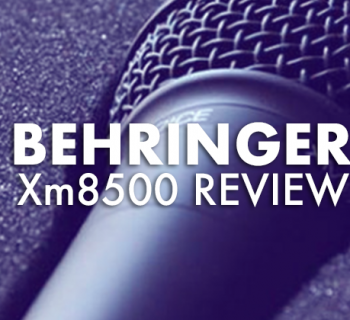 Lets make 2018 another, if not bigger beatbox year!